che ringrazio per aver autorizzato la pubblicazione delle immagini dell'opera di sua proprietà. 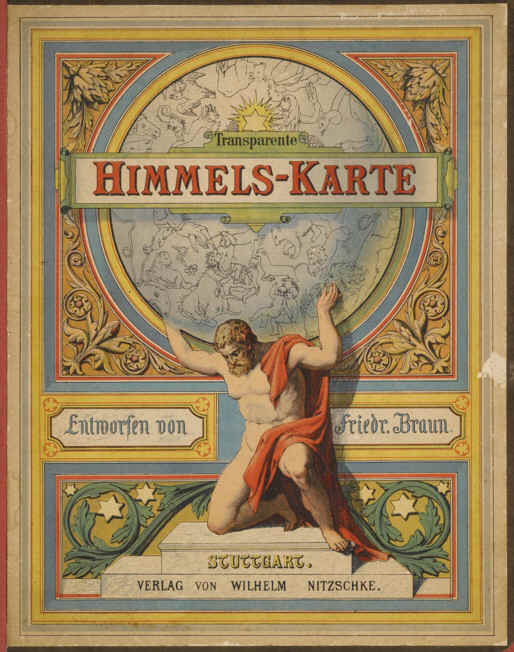 Braun’s figures are explained in great detail in the accompanying Gemeinfassliche Himmelskunde, a ‘guide to the use of the transparent cards’. 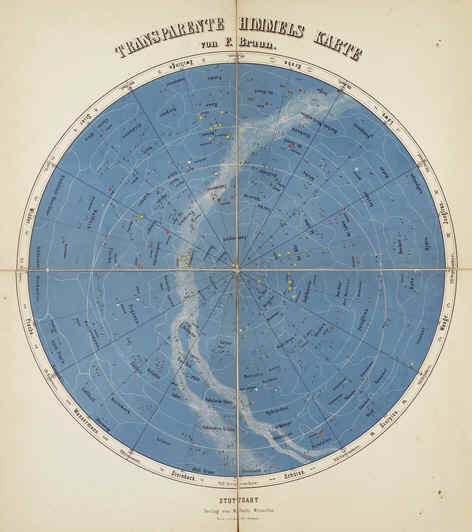 The publisher Wilhelm Nitzschke appears to have produced this atlas as part of a series “for school and home”. 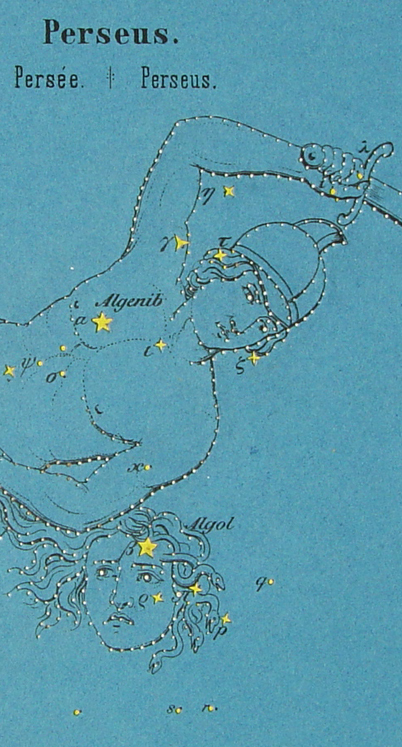 Braun provides a thorough, technical introduction to the heavens, labeling the stars in each constellation with the letters of the Greek alphabet, and providing specific figures for orbital periods and planetary radii.